Allow the fruit mixture to thaw and drain the juices. In a large mixing bowl, stir together sugar and cornstarch. Add the thawed fruit; gently toss until berries are coated and set aside for 5 minutes. 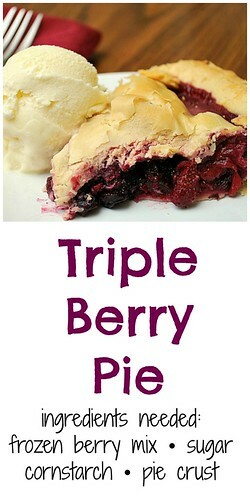 Line a 9 inch pie plate with half of the pastry.T ransfer to the crust lined pie plate. Top with second crust, and seal and crimp the edge. 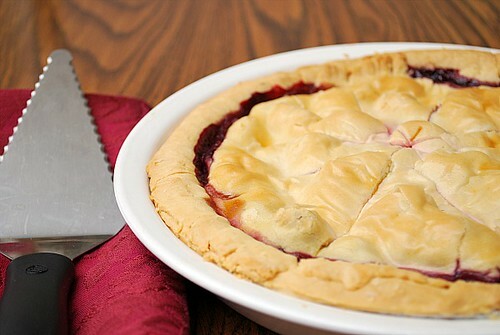 To prevent overbrowning, cover the edge of the pie with foil. Bake at 375 degrees F (190 degrees C) for 35 minutes; remove foil. Bake for an additional 20 to 30 minutes, or until the top is golden. Cool on a wire rack. 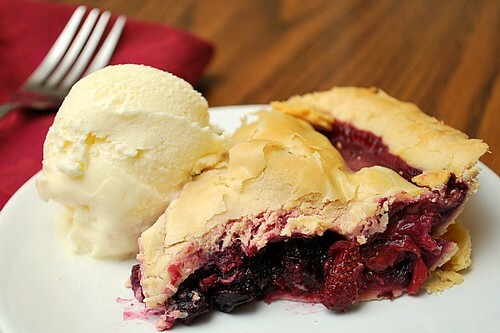 This is the tastiest pie ever ! I've gotten a lot of compliments when I've made it !